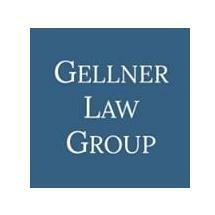 Gellner Law Group brings knowledge, experience and compassion to your situation. We will answer your questions, explain the law, protect your rights and keep you informed throughout the duration of your case. We provide you with the information you need to make good decisions for yourself and your family. We offer you a full complement of estate planning services, including wills, trusts, powers of attorney, living wills, probate avoidance, estate tax avoidance, guardianships and more. Full probate and litigation services are also provided, although many clients are pleasantly surprised to learn that they can properly and safely transfer the assets of a decedent to heirs without court supervision. Clients who have tax-related issues find that our attorneys can resolve matters quickly and effectively with tax officials. We regularly represent clients before the Internal Revenue Service. Our tax attorneys will be there for you during every step of the way whether it includes tax audits, collection actions, negotiations if collection alternatives, including offers in compromise. We also handle tax appeals and tax litigation. The creative solutions we are able to create working with our clients often avoid expensive, uncertain and difficult court proceedings.